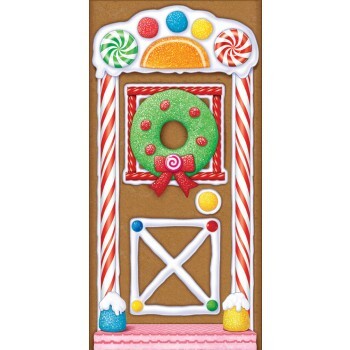 Colorful candy and frosting gingerbread image will be a sweet greeting for your visitors! 30 X 60 inch polyethylene sheet covers most standard sized doors. For indoor or outdoor use.